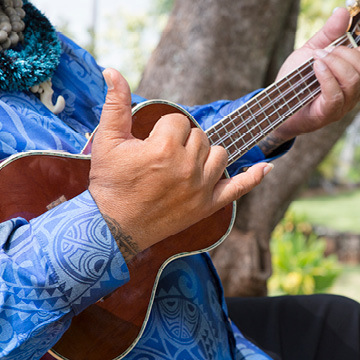 Every weekend you’ll be whisked away to the Hawaiian Islands with performances, events, and activities that celebrate the diverse cultural traditions of Hawai‘i. Enjoy hula, plein air painting, or see how a traditional lei is made. Explore Hawaiian culture through our Hawai‘i Past and Present Film Series and an original short film featuring excerpts from O’Keeffe’s personal letters to her husband, famed photographer Alfred Stieglitz. Saturdays & Sunday; 1–4 p.m. Observe and interact with expert lei makers, kapa makers, block printers, and other practitioners of ancient Hawaiian crafts.